The uOttawa Alumni Association recognizes the outstanding achievements of its members with the annual presentation of the Alumni Association Awards of Excellence. Established in 2011, these awards aim to recognize the inspiring talent, effort and influence of the University’s graduates—locally and worldwide. When Judge Richard Wagner discusses his career, the listener quickly realizes that curiosity and a relentless work ethic are a formidable combination, one that can lead straight to a position on the highest court in the land. As soon as he began studying civil law at the University of Ottawa, Richard Wagner had only one goal in mind: to litigate cases in court. During his 25-year career at Lavery de Billy as an associate specializing in civil and commercial litigation, he pursued this passion with gusto, litigating in every region and courtroom in Quebec, and even before the Supreme Court, relishing the variety of approaches and expectations found in these different legal environments. But he also wanted to learn about other facets of the legal profession, so over the years, he occupied a number of positions within his professional order, most notably as President of the Bar of Montreal in 2001-2002, a position whose relevance he sought to enhance by focussing on person-to-person contact and disseminating information, even if it meant working seven days a week! In 2001, Richard Wagner played a leading role in the creation of the Centre d'accès à l'information juridique (CAIJ), an online legal information website that allows anyone practicing law in Quebec to have a legal library at their fingertips, wherever they happen to be. 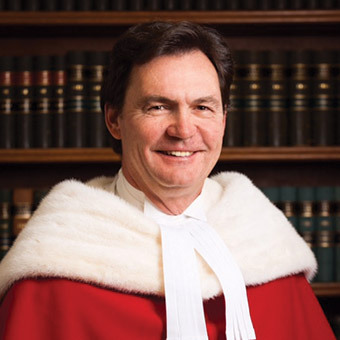 In 2012, after having served on the Superior Court of Quebec and the Court of Appeal of Quebec, he was named to the Supreme Court of Canada, a nomination that was unanimously applauded by the Canadian legal community, proving his own statement that "leadership is earned; it is not imposed." The pride that Richard Wagner has demonstrated in his support for the University of Ottawa and the next generation of legal professionals is matched only by his alma mater's pride in him and his many accomplishments. On July 18, 2014, over 24,000 people cheered the return of CFL football to Ottawa at the official opening of TD Place, the centerpiece of a $500M project to revamp Lansdowne Park as a nexus of sports, entertainment and leisure activities. Certainly, 2014 was a big year for Bernie Ashe, who is the CEO of Ottawa Sports and Entertainment Group (OSEG), the company that partnered with the City of Ottawa to complete this project. His greatest pride? That's easy: it's his OSEG team. "To have so many people so committed and sacrifice so much to get that done was humbling for me as the CEO," he said. "It only happened because of that sacrifice." And yet it is Bernie Ashe's humility that sets him apart. While most people believe that "CEO" is a synonym for "inaccessible", Bernie Ashe sees his job as an opportunity to involve employees at every level of the organization. This open-minded attitude is particularly useful for this builder whose strength lies in safely steering businesses through turbulent periods of change. 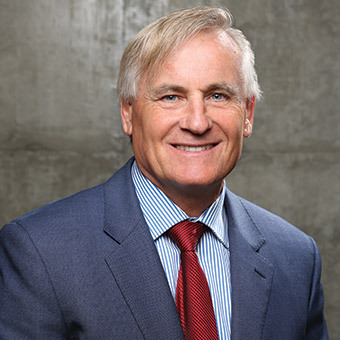 Before heading OSEG, he was at the helm of Kott Group, one of the largest building supply organizations in Canada. He has also headed AiT (today 3M-AiT), a company that specializes in traveller identity and border control. 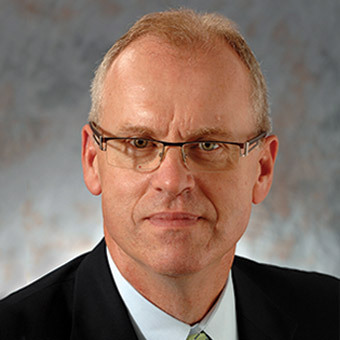 Moreover, Bernie Ashe was Executive Vice-President and Chief Operating Officer of the Ottawa Senators from 1991 to 1997. In addition to his work on the board of CHEO for 14 years and his dedication to a number of other causes, Bernie Ashe has always been very involved with his alma mater, where he says he got his start. Today, the University of Ottawa celebrates in him one of its most accomplished alumni and the force behind one of Ottawa's most spectacular successes. Ask Ken Guarisco to name his fondest memory of the University of Ottawa, and in all likelihood the answer will explode from him like a Hail Mary pass: "Winning the Vanier Cup!" But this is hardly a surprising answer from this former Gee-Gees defensive back and coach who, along with his teammates on the legendary and undefeated 1975 Vanier Cup-winning Gee-Gees football team, will be named to the Gee-Gees Football Hall of Fame this year. ""Without [football] as a launching pad, I really don't think I would have enjoyed the success that I have today," says Ken Guarisco, who is grateful to the University for the discipline, effort and resilience he learned on the gridiron. But today, it's the University's turn to be grateful. Always one of the football program's most faithful allies, Ken Guarisco is still active in the association of former Gee-Gees football players that he headed for several years, and has played a key role in many of the football program's successes. His many contributions to the team include a scholarship for student-athletes, and the running of a major fundraising campaign to solicit friends and former teammates, all evidence of his persistent willingness to give players everything they need to study, play and succeed, both on the field and in life. The University of Ottawa is not the only beneficiary of Ken Guarisco's loyalty: as a financial planner with over 30 years' experience, he has faithfully served the clients of Carleton Financial Services, the company he co-founded in 1998. And let's not forget his 30 seasons as a high school football coach or his volunteer work with organizations ranging from the Ottawa Hospital to the United Way. Ken Guarisco is a model of generosity and commitment whom the University of Ottawa is proud to count among its most loyal friends. Less than ten years after completing her medical studies, Doctor Mélanie Lacasse has already earned the praise of at least 15,000 people in the Basse Lièvre area. That's the number of patients who, thanks to this young doctor's initiative to open drop-in medical clinics, have found that rarest of rare birds in the Outaouais: a family doctor. 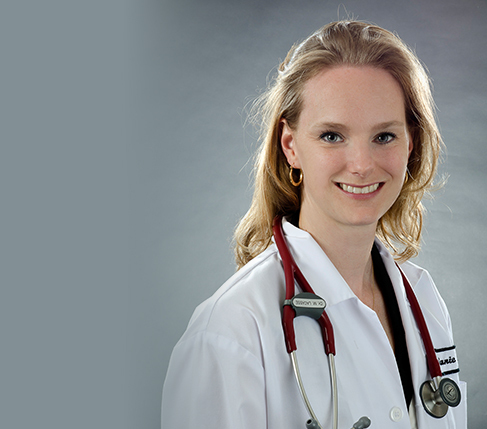 In addition to practicing family medicine at the CSSS clinic in Papineau and at the Coopérative santé de la Basse-Lièvre, a co-operative health clinic, Dr. Lacasse is also the coordinating doctor who helps match patients with family doctors in her region. 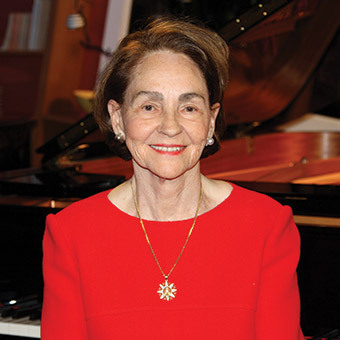 Her noteworthy contributions have earned her several honours, including the Award of Excellence from the Québec College of Family Physicians (QCFP), as well as being named Radio-Canada–Le Droit personality of the week in 2013, and the Personality of the Year at the Buckingham Sports and Culture Gala in 2014. And that's not to mention the awards she won when she graduated in 2006, namely the Donald S. Beanlands and Vita XXV awards of excellence. This is all because Doctor Lacasse, who decided to become a doctor when she was four years' old, draws her boundless energy from a willingness to always go the extra mile and find creative solutions to the problems she encounters. "You need to be proactive," she said. "Yes, there are cracks in our health care system, and it can be like turning the Titanic, but even small steps can add up to cover a great distance." And Mélanie Lacasse is always a step ahead. She's already planning her next project: a protocol to help administer medication to patients in palliative care. As someone who is very attached to her area, Doctor Lacasse volunteers with various organizations, including Fondation Santé de Papineau, which works to improve access to health care for Papineau residents. She also maintains close ties to her faculty, whose "humanitarian vision" she appreciates. In turn, the University of Ottawa would like to highlight the tireless efforts, dedication and vision of this remarkable young alumna. If you took a look at Gaye Moffett's schedule, you might think that she dedicates all her time to community service. And yet you would be wrong. Gaye Moffett is the fearless nurse-entrepreneur who is behind a "caring empire" that includes GEM Health Care Services, GEM Software Scheduling Solutions, GEM Franchising Inc. and GEM Franchising (Canada) Limited. Her flagship company, GEM Health Care Services, specializes in private duty nursing, home care services, personal support services, shift and visit nursing and institutional supplemental staffing, is one of Canada's largest independent health care companies. Not bad for a woman who founded her business in less than six weeks in 1994 by transforming a job loss into an opportunity to do what she loves most: taking care of people. Since then, nothing, and certainly not a hectic schedule, has stopped this whirlwind who is driven by a deep-seated desire to give back to society. For example, from day one she was involved in Hire Immigrants Ottawa, and today, Gaye Moffett co-presides that organization's Employer Council of Champions, a role that fits her like a glove since 80% of her workforce is made up of immigrants. Given her strong commitment to health care, Gaye Moffett also volunteers her time and expertise to serve on the Ottawa Hospital Community Advisory Board, the Ontario Home Care Association Board and the Advisory Board of the Marie Des Anges Loyer-DaSilva Research Chair in Public Health Nursing at the University of Ottawa. And if that weren't enough, there is her work as a member of the Rotary Club of Ottawa West, as Chair of the Board of Directors of the Ottawa Bach Choir and as a member of the Parish Council and Finance Committee of St. Matthias Anglican Church, where she also sings in the tenor section of the church choir. "I like to give back. I think it makes you a better person," says Gaye Moffett. And for her alma mater, it certainly makes her a shining example to emulate. Aline Chrétien's relationship with the University of Ottawa is a family affair, but also a musical one. And it is within this university, which her daughter and grand-children attended, that Aline Chrétien found a new cause to add to her long list of community activities. The uOttawa Piano Pedagogy Research Laboratory, of which Aline Chrétien has been honorary co-chair since 2006, aims to foster multidisciplinary research on the challenges of learning to play the piano. And Aline Chrétien is quite familiar with these challenges, having studied through the Royal Conservatory of Music to become an accomplished pianist herself. Moreover, education is a cause dear to the heart of this self-educated woman. "I started working at a very young age because I came from a large family. I couldn't do everything I wanted to do! But thanks to books and courses, I have learned a great deal on my own, including languages," said Aline Chrétien, who is fluent in French, English, Spanish and Italian. This commitment to learning certainly stood her in good stead when Aline Chrétien was named Chancellor of the Laurentian University in 2010, a role she truly enjoyed and found especially moving when she witnessed the joy of students, and sometimes of their parents, as they came forward to receive their diplomas at convocation. 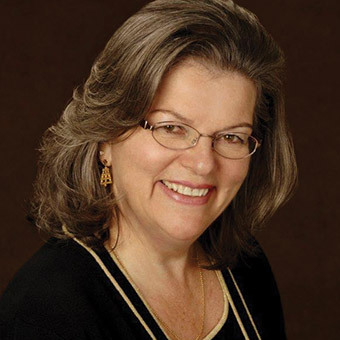 Aline Chretien has over 40 years' experience in establishing connections with parliamentarians, national and provincial leaders, business executives and dignitaries from across the globe. The University of Ottawa is very honoured to count on her friendship and support.